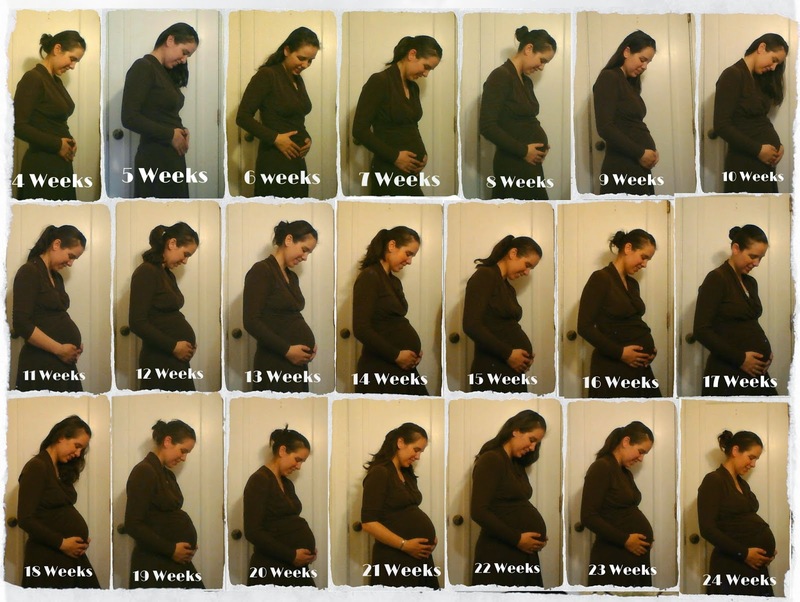 I finally got around to putting together the 24 weeks picture just a couple of days before we hit 25 weeks! Baby seems to be taking after Patrick and spending most of his time flipping back and forth between being breech and transverse (not that that really matters since a) it's so early and b) this will be a c-section anyways). Patch spent most of the last pregnancy transverse and the majority of the rest of the time with his little head pushing up under my ribs, which the new baby proved he can already do, yesterday. Last pregnancy I realized that I'm getting pretty good at telling babies position after telling the doctor's at each appointment "I think he's... (fill in breech or transverse) and having it turn out that he was each time. So here's the latest progression. Amazingly it looks like this non-maternity dress might actually fit for the entire pregnancy! Happy Birthday to Our Big Girl!